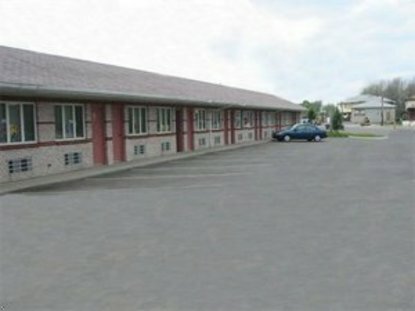 We would warmly like to welcome you to Travelers Budget Inn of Niagara Falls, NY, where our ideal location of Travelers Budget Inn is just minutes away from world famous natural wonder Niagara Falls, Seneca Niagara casino, casino Niagara. Travelers Budget Inn is also just minutes away from many wonderful local attractions like Maid of the Mist, Cave of the Winds, take the pleasure of spectacular rides in Darien lake Theme park, also enjoy the amazing view of Niagara Falls form Skylon tower. Tours can be arranged form the hotel for wonderful attractions located in USA and Canada. We are also 2 blocks away from prime outlet shopping mall and many near by restaurants. We accept Canadian money at par. Our one floor outside corridor offer 25 guest rooms with Free wireless High Speed Internet, Free Continental Breakfast, seasonal Free shuttle to falls and casino, At door parking, Free local calls and Free daily newspaper. All guest rooms offer Cable TV, Fridge and microwave, Hairdryer, Phone and standard amenities, absolutely no Pets allow, All reservations should check in between 1pm to 10pm Eastern time, please contact hotel direct if checking in late.